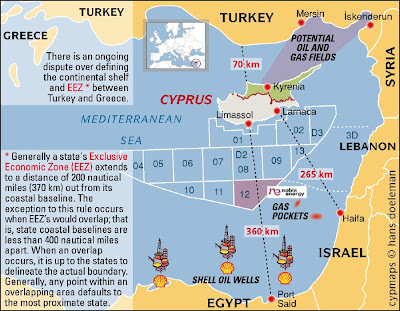 CYPRUS, with its recent oil and gas findings must have struck a jackpot one would assume, and the numbers and expert views seem to concur with this assumption. 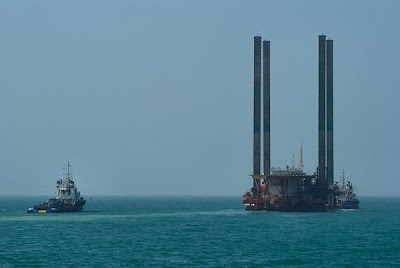 The gas findings also triggered a major geopolitical shift in the EASTERN MEDITERRANEAN SEA, creating new alliances between ISRAEL, CYPRUS and GREECE, as well as RUSSIA’S stance on gas supply to TURKEY, for energy is one of the cornerstones of the RUSSO-TURKISH relationship. RUSSIA provides approximately 58 percent of TURKEY’S natural gas supplies, making it TURKEY'S largest natural gas supplier. Ankara has long sought ways to reduce its dependence on RUSSIAN natural gas, since Moscow traditionally uses its energy supplies as political leverage with many of its customers. 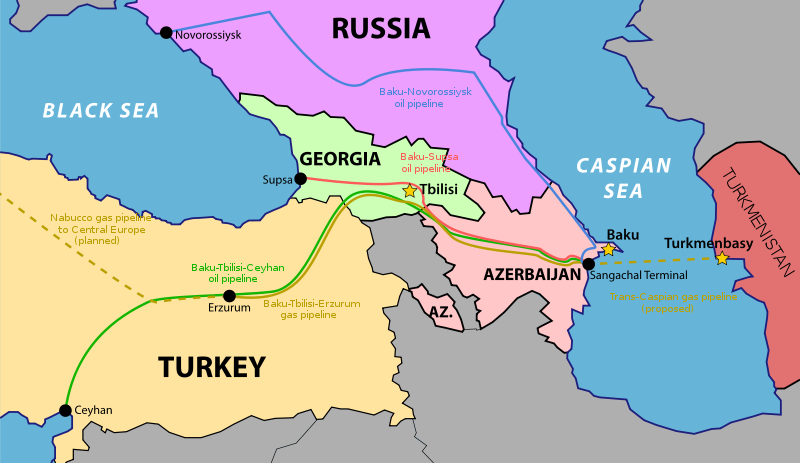 For its part, RUSSIA wants to keep TURKEY tied to it through energy and to prevent other suppliers from helping Ankara diversify its natural gas sources. Thus, RUSSIA wants to increase its leverage in its energy relationship with TURKEY. 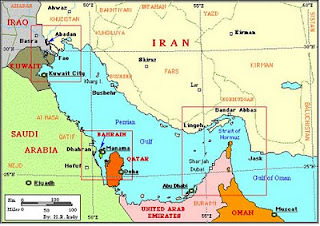 TURKEY, because of its “elephant in a porcelain shop” foreign policy approach and double egged sword policies concerning IRAN is becoming increasing isolated and thus more nervous of loosing influence in the region, both as a self-proclaimed mentor of the Arab world and of becoming the Mediterranean’s main gas and oil distribution hub, which now it seems will be CYPRUS, TURKEYS arch foe. Thus it comes as no surprise that Turkey is venturing further out to Asia, in particular Pakistan and India. TURKEYS double egged sword policies become obvious when Ankara became deeply engrossed in an effort to have the new IRANIAN and IRAQI pipelines to EUROPE routed through TURKEY, reducing the Strait of Hormuz’s crucial importance as a primary route for the world’s oil supplies. This pipeline would also hurt SAUDI ARABIA and the other Gulf oil producers, all of whom are dead set against Erdogan’s hegemonic aspirations in the Middle East. Furthermore, growing anti-AMERICAN sentiment in TURKISH public opinion and TURKEY’S NEO-OTTOMAN reach now involves interference in IRAQI politics, in IRAQ’S KURDISH areas, policy shifts on SYRIA, support for HAMMAS and HEZBOLLAH and hostility toward ISRAEL. As a result, Erdogan has become the hero of the ARAB countries, or so it seems. There are numerous new threats emanating from TURKEY including threats towards CYPRUS, the EU etc. CONTRADICTING TURKISH FOREIGN POLICIES, - OR A GENIUS GEOPOLITICAL MOVE? CYPRUS on the other hand realizes that with the prospects of gas and oil extractions, it will become an economic stronghold and thus more eco-politically independent and will see no need to reach an agreement or solve the NORTHERN CYPRUS problem, as deemed essential by TURKEY in order to obtain a share of the energy cake. Recent developments in CYPRUS not only caused nervousness in TURKEY but also the USA, for CYPRUS, traditionally tends to side with RUSSIA, rather than the USA, thus it is obvious that the USA and US ally TURKEY are trying to influence the political developments in the region. CYPRUS’S recent official request to close the two BRITISH Military Bases on the Island are just one of the many indicators that CYPRUS is increasingly flexing its muscle as a result of the prospects of extracting gas and oil in the not too distant future. 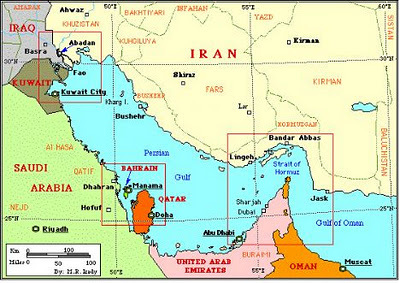 In view of these developments it becomes obvious that US proxies, such as the INTERNATIONAL CRISIS GROUP (ICG) and US Special Envoy for Eurasian Energy, Ambassador Richard Morningstar are sent in to intervene for USA’S geopolitical and strategic objectives. In its latest report on CYPRUS, the ICG claims that gas revenues are decades away and that due to the unresolved CYPRUS dispute, natural resources extractions will drive up costs and scare away investment from major oil companies! ICG further states that hostilities are on the rise in the eastern Mediterranean since GREEK CYPRIOTS began drilling for hydrocarbons last September; TURKEY responded with tough talk, naval maneuvers threatening exploration operations, and agreements with TURKISH CYPRIOTS to exploit hydrocarbons around the island. Voicing TURKEYS stance through ICG becomes evident when the TURKEY – CYPRUS project director claimed that a joint approach to eastern Mediterranean natural gas exploitation would ensure benefits for all, while unilateral moves mean lower profits, tensions and delays that could crush current projects and it is a CYPRUS settlement, not far-away gas revenues, that can provide a quick and real economic bonanza for all. To claim that unilateral moves mean lower profits, tensions and delays in natural gas extraction is purely speculative and in most likelihood bear no impact on gas extraction. According to the Crisis Group’s research, a pipeline pumping CYPRIOT gas to TURKEY would make sense not only politically, but economically as well. In fact, a pipeline running from CYPRUS to TURKEY’S south coast would cost about one-tenth of the price tag of a liquefaction natural gas (LNG) plant. Though this might make economic sense, politically such move will never occur, for too deep is the rift between the two ethnic entities, something outsiders are unable to understand. According to independent experts, ICG’s claim regarding expenses involved in the construction of an LNG plant, are exaggerated and do not reflect benefits for the regional economy and subsequent job creations in the region. Why suddenly the USA and in this case particularly its proxy the ICG keep on emphasizing that EASTERN MED countries should work together on energy! Surely such advises are not for the benefit of the countries in question but for the USA and its allies. Countries in the EASTERN MEDITERRANEAN need to talk to each other and find logical solutions so everyone can enjoy the “pots of gold” in the form of hydrocarbon deposits littered across the region, said top US energy envoy. According to US Special Envoy for Eurasian Energy, Ambassador Richard Morningstar* there are multiple pots of gold out there in the EASTERN MEDITERRANEAN. And if equitable solutions are found, everybody, all of the countries and their citizens will gain; and if not, nobody is going to reap the whole benefits and a lot of that gold might just sit out there for a long time. His statement and views are precariously similar to that of ICG, which confirms that the USA has its own agenda when it comes to EASTERN MED energy policies. Speaking at the Investment Energy Summit hosted by “The Economist” (The Economist is part of the global “CORPOCRACY” who use the magazine to voice their economic and political agendas. See: http://geopoliticsrst.blogspot.com.ar/2012/02/economist-far-cry-from-renowned-and.html and http://geopoliticsrst.blogspot.com.ar/2011/12/economists-sorry-journalism.html) in Athens, he said the energy resources of the EASTERN MEDITERRANEAN presented too much of an opportunity to ultimately let political and legal issues mess up the benefit that it could have for the citizens of every country in the region. Furthermore Morningstar referred to ISRAEL’S significant offshore finds of natural gas, noting that GREECE too was working to identify potential hydrocarbons for exploitation. Gas in the EASTERN MEDITERRANEAN is an excellent opportunity that will help to create diversification which can help Europe, and more importantly the countries of the region, who will benefit from these resources. In offering advice to the region’s players, Morningstar stated that a low profile is essential and that the parties involved need to look carefully at what their interests are and make contact with other parties within the region, to try and find solutions that make sense, so that everybody can benefit from these pots of gold that are out there in the MEDITERRANEAN. 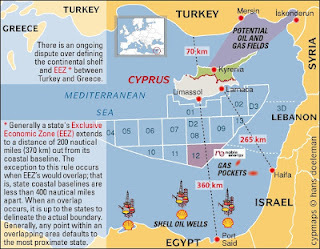 Regarding the exploration and exploitation of hydrocarbons in CYPRUS’ exclusive economic zone (EEZ), the US apparently recognizes CYPRUS’ right to drill in its offshore zone but at the same time reiterated that any potential revenue from future oil and gas resources in CYPRUS should be equitably shared between both communities and that the key message the US is sending to CYPRUS and TURKEY is to start peace talks and a peaceful settlement. US stance on recognizing CYPRUS’S EEZ but at the same time asking the two communities to share future oil and gas resources clearly favors TURKEY, USAs close ally. The chances that CYPRUS will share such findings with TURKEY are hardly going to materialize, not now nor in the distant future. 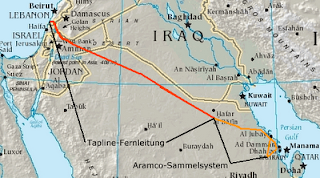 In July 2011 Washington joined the GREEK energy game. Secretary of State Hillary Clinton flew to Athens with energy on her mind. That was clear by the fact she brought along Special Envoy for EURASIAN Energy, Richard Morningstar. 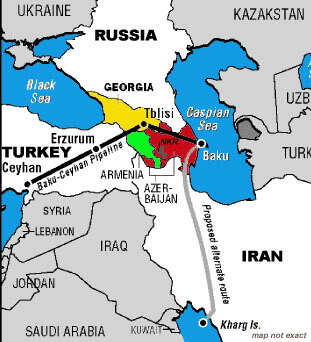 Morningstar was husband Bill Clinton’s Special Advisor to the President on CASPIAN Basin Energy Diplomacy. Morningstar, along with his controversial aide, Matthew Bryza, have been the key Washington architects of Washington’s geopolitically-motivated oil and gas pipeline projects that would isolate RUSSIA and its Gazprom gas resources from the EU. Bryza is an open opponent of RUSSIAN Gazprom’s South Stream gas pipeline that would transit the EASTERN MEDITERRANEAN states. The USA seems to have its own agenda regarding GREEKS recent oil and gas discoveries, for three days after Hillary left Athens the GREEK government proposed creation of a new government agency to run tenders for oil and gas surveys and ultimate drilling bids. He has openly proposed that GREECE and TURKEY drop all historic differences over CYPRUS, over numerous other historic issues and agree to jointly pool all their oil and gas reserves in the Aegean Sea. He also has told the GREEK government it should forget cooperation with Moscow on the South Stream and Bourgas-Alexandroupolis gas pipeline projects. On the other hand CYPRUS’S strategic objective is to turn the country into a regional energy centre that will gather, process, and transport or transit resources from the area to international markets which will secure the continuous and uninterrupted supply of energy for the permanent markets of the EU. WE HAVE PETROLEUM PRODUCT ON FOB AND CIF BASIS. Wow, this blog is amazing! Thanks for sharing valuable content that is very effective. Keep it up.